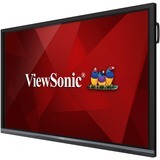 The ViewSonic® VPC10-WP-2 Windows slot-in PC delivers smart whiteboard and smart meeting room functionality for ViewSonic® ViewBoard® interactive flat panel displays (IFP50 series). This slot-in PC module easily plugs into compatible displays and supports high-definition audio and video. 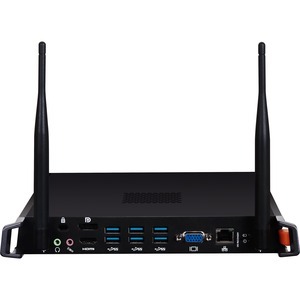 With wireless Wi-Fi dual band and Bluetooth support, a powerful Intel® i5 processor, 8GB DDR4 memory, and fast SSD storage, the VPC10-WP-2 provides the computing power needed for fast-moving educational or corporate environments. Flexible connectivity options include 4K DisplayPort, HDMI, VGA, USB 3.0 ports, and Gigabit LAN RJ45.